Sign up and get the complimentary paper. 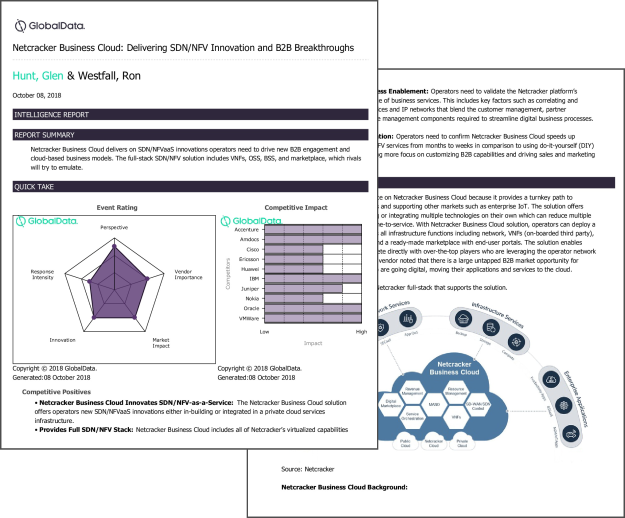 GlobalData highlights the Netcracker Business Cloud, an end-to-end SDN/NFV-as-a-Service solution that helps operators drive new B2B engagements through cloud-based business models. This report also underscores its competitive assessment and market impact amidst digital transformation.